He’s been hailed “The Voice Of Rock”, and for good reason, as this 6 CD live box set happily testifies. • He’s been hailed “The Voice Of Rock”, and for good reason, as this 6 CD live box set happily testifies. With vocals soaked in blues and soul, but above all ROCK, Glenn Hughes has performed with many rock legends, including Deep Purple, Black Sabbath, Hughes-Thrall, Trapeze and Black Country Communion. Despite his huge talents as a musician and as a songwriter, the 80s were relatively quiet era for Glenn, something that has been more than made up for in his much more prolific 90s, noughties and beyond. • Spanning two decades, Disc One kicks this set off with “Incense And Peaches: From The Archives Volume 1”, an interesting and unusual set of demos and works in progress. 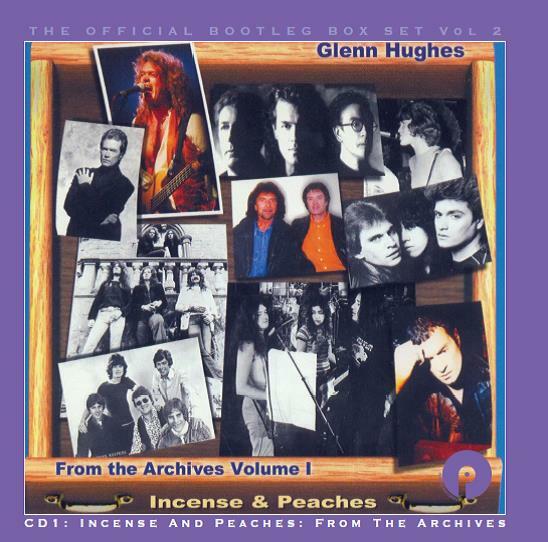 Originally released in 2000 through Glenn’s own Pink Cloud Records, it was a collection of previously unreleased songs covering more laid back, pop and soul sounds rather than hard rock. 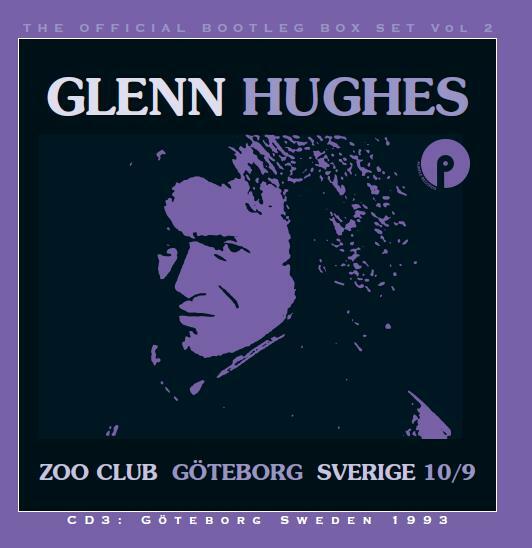 • Glenn has always had a major following in Scandinavia, and this collection has no less than three shows recorded in Sweden, starting with his June 1993 show at the Blitz Nightclub in Borlänge on Disc Two. A belting take on Deep Purple’s ‘Burn’ is followed by ‘Muscle And Blood’ originally recorded by the short lived, but much loved Hughes Thrall. Glenn’s first major band Trapeze are also revisited with ‘You Are The Music’ and ‘Coast To Coast’. At the time Glenn was supporting his latest album, “L.A. 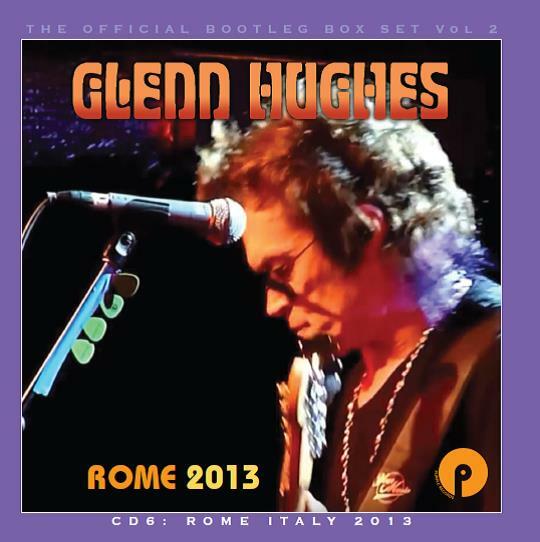 Blues Authority Volume II: Glenn Hughes – Blues”, from which ‘A Right To Live’ and ‘So Much Love To Give’ were taken. But it wouldn’t be a Glenn show without revisiting some more Deep Purple classics, with ‘This Time Around’, ‘Gettin’ Tighter’, ‘You Keep On Moving’ and ‘Smoke On The Water’ featured. • Disc Three was captured three months later at Gothenburg’s Zoo Club. Opening with ‘The Liar’ from the as yet unreleased “From Now On” album, the set also includes a cover of Hughes Thrall’s ‘I Got Your Number’, Purple’s ‘This Time Around’, ‘Gettin´ Tighter’ and ‘You Keep On Moving’, as well as blues standard ‘The House Of Rising Sun’. This disc is rounded off with five tracks at Glasgow’s Cathouse in November 1995, including ‘Big Time’ and ‘Talkin’ To The Messiah’ from that year’s “Feel” solo record. • Glenn was back in Sweden for a show at Gino’s in Stockholm in November 1996, spread across Discs Four and Five, kicking off with Trapeze’s ‘Way Back To The Bone’ and ‘Touch My Life’. ‘Push!’ was taken from the previous year’s “Feel”, with ‘Cover Me’, ‘Talk About It’ and ‘I Don’t Want To Live That Way Again’ originally appearing on 1996’s “Addiction” album. A cover of Ozzy’s ‘Goodbye To Romance’ followed by the self-explanatory ‘12-Bar Blues’, both recorded in 1992, are added bonuses to complete Disc Five. • We jump ahead to May 2013 for a firey show captured at the Crossroads Club in Rome, with no less than seven Mk3 and Mk4 Deep Purple classics aired; ‘Stormbringer’, ‘Might Just Take Your Life’, ‘Sail Away’, ‘Mistreated’, ‘Gettin’ Tighter’, ‘You Keep On Moving’, and ending the set with ‘Burn’. Also featured is a cover of ‘Superstition’, written by one of Glenn’s biggest heroes, Stevie Wonder. • Purple Records have reissued expanded collections across Glenn’s solo catalogue, including solo debut “Play Me Out”, “Feel”, “Addiction”, “The Way It Is”, “Return Of Crystal Karma” and “Building The Machine”. 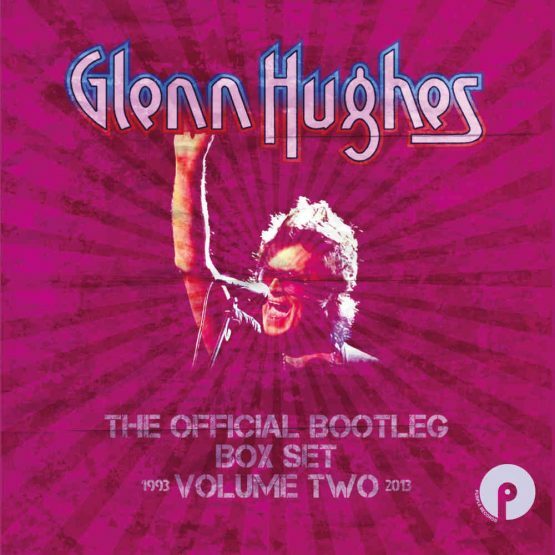 Glenn Hughes also appears on the recently reissued 3CD set and 2LP edition of 1974’s “The Butterfly Ball And The Grasshopper’s Feast” by Roger Glover And Friends, also on Purple Records, as well as the “The Official Bootleg Box Set Volume One”. • Whilst every effort has been made to produce the best possible audio, limitations in the material drawn from various, non-standard, and un-official sources means that the quality may not be up to the standard usually expected. All tracks have been included for their historical importance, and to present an anthology of Glenn Hughes live on stage from 1993-2013. The Official Bootleg Box Set Volume 2 is a raw testament to what this very influential artist did best; playing bluesy, soulful hard rock, live on stage, and is drawn from a variety of sources, including mainly recordings that have previously only been available as pirate releases. 7. WHAT IS YOUR ROLE? 8. YOU ARE MY DREAM! 12. HEY KEN, ARE YOU HOME?